You may have come to this site through a referral, or because you’ve been exploring alternative therapies for yourself, a loved one, or a friend. Perhaps you’re simply curious or have stumbled upon this site because you’d like to expand your therapeutic horizons. Regardless of why you’re here…welcome! 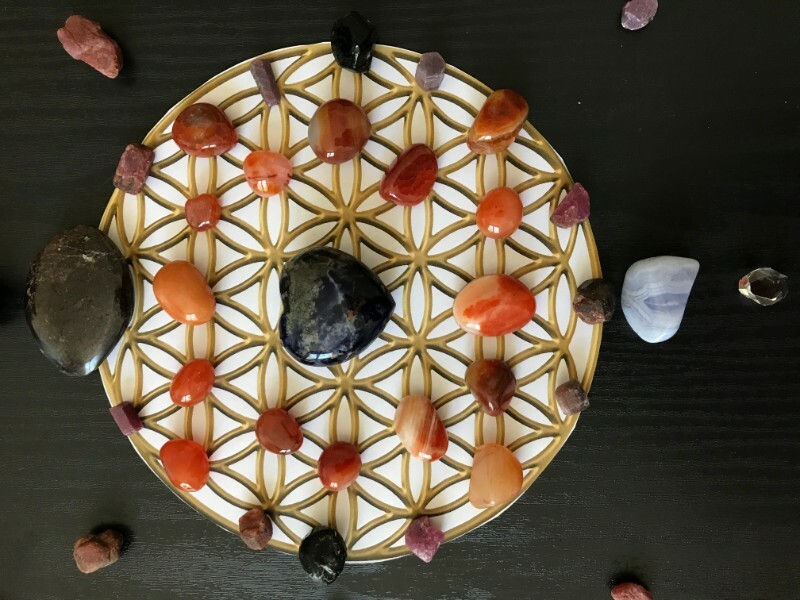 If you have already experienced the direct benefits of crystal healing, you might want to skip ahead to my background and credentials, and to learn more about how I can help you through Intuitive Crystal Mapping therapy. 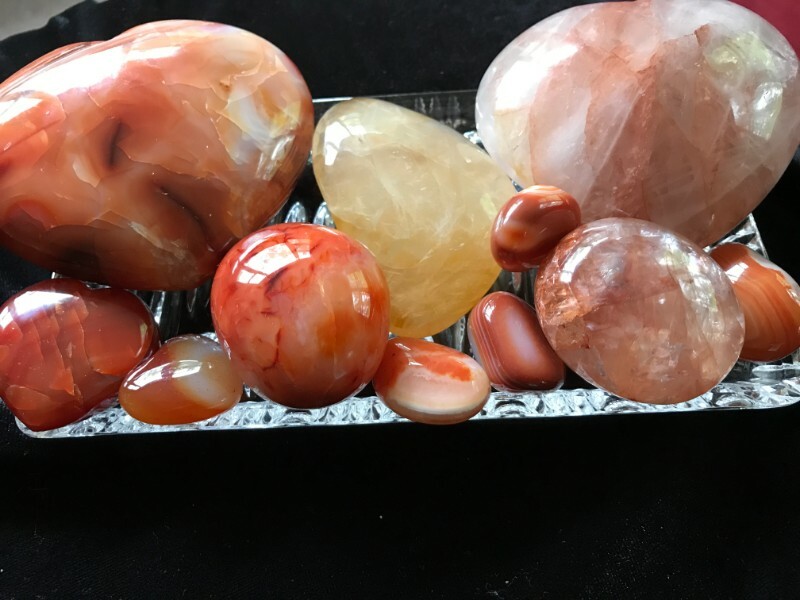 If you are unfamiliar with crystal healing, please read on. I especially encourage eyebrow-raisers, who might not be familiar with healing approaches outside of the world of mainstream modern medicine. I promise you that there’s nothing magical or belief-driven about the crystalline world. Crystal therapy is based on scientifically verified physics as well as metaphysics. 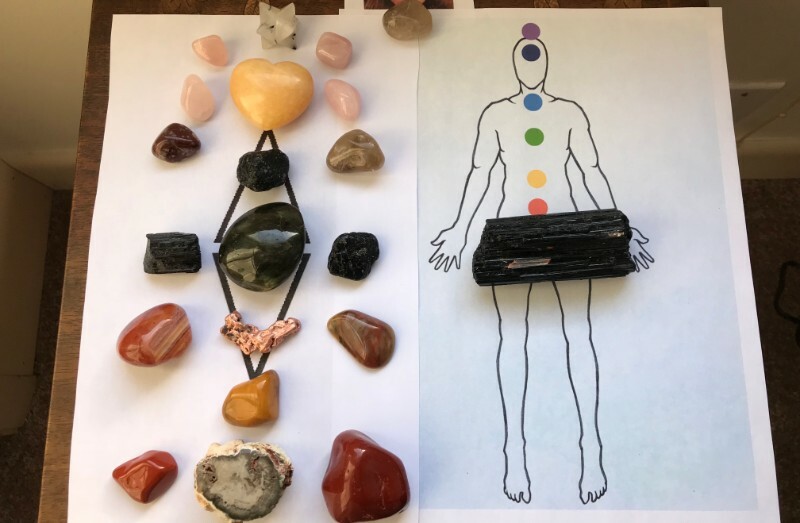 If you are aware of our non-physical selves (soul, inner being, whatever you want to call it) then the way crystals work will seem self-evident. Yet, you don’t have to believe in the non-physical realm for remote crystal therapy to be beneficial to you. Indeed, some of my most satisfied clients are lifelong skeptics! You already know that our planet is host to a vast and highly varied mineral kingdom. You may not know that all minerals occur naturally as crystals, and you may never have considered that they are an “inorganic life form”. Crystals also offer unlimited possibilities for physical, emotional, and spiritual healing. 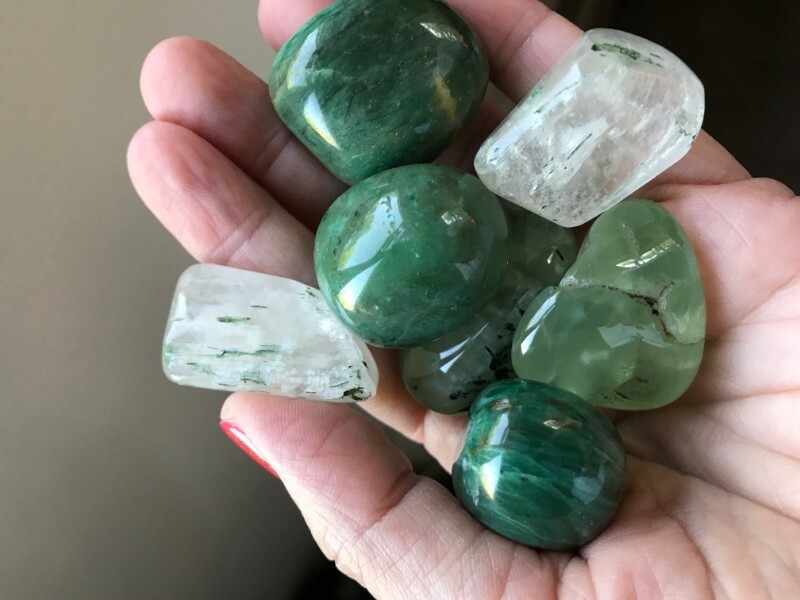 And through Intuitive Crystal Mapping, you will enable yourself to shift patterns of behavior and reactivity, clearing away energies that are inhibiting you from making positive changes in your life. Crystals are nature’s gift of perfect vibration. As humans, we are always seeking this. But pure harmony can be elusive. You might attain it for a time and then lose it. This can happen frequently in the course of a lifetime. 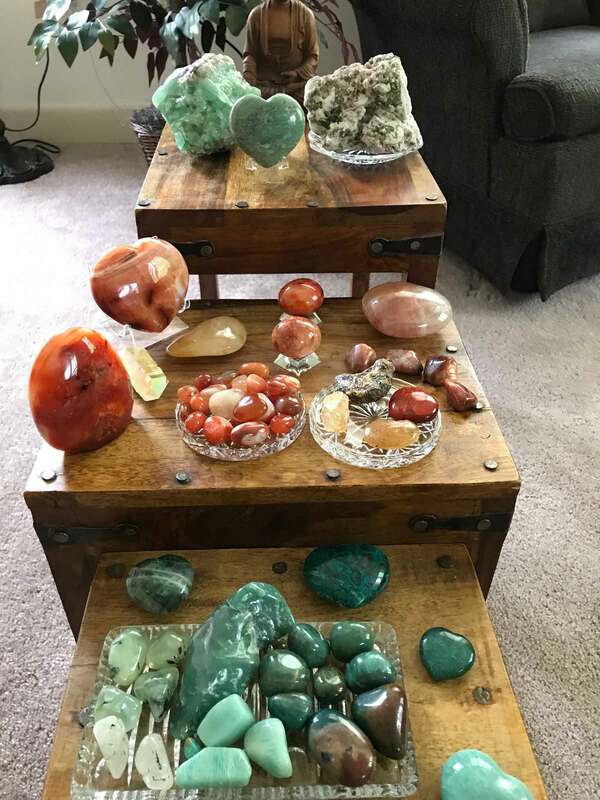 However, by using the perfection of crystal vibration to entrain your electromagnetic field, your physical body and your mind will be brought to an enhanced state of well-being, clarity, and strength! Crystals are comprised of perfectly organized atoms and molecules which are arranged in a highly ordered and repeating atomic structure that forms a lattice extending in all directions. This perfect structure causes each type of crystal to vibrate in a specific way. Are you reading this on a smartphone, tablet, or computer? Well, those and most of our modern electronics are built on the power of crystals. They are used as frequency control devices in the circuits. They make it possible to send and receive electrical signals with precise frequencies. So, there’s nothing off the wall about the power of crystals. Indeed, it makes sense that they can be used to modulate our own, personal frequencies, which affect our personal energy fields. We each, as living beings, have our own signature electromagnetic fields. And since everything, living and non-organic, is made up of energy, each living or non-living thing has such a field of energy that is constantly vibrating (the “aura” if you will), either in sync with what we want in life, or, frequently, because we are complicated beings undergoing much and varied experience, we sometimes have a chaotic or negative vibration. When we entrain our energy fields with the perfect vibration of the crystal kingdom, we come into balance in mind, body, and spirit. Each of us possesses a mental and spiritual aura, which is not always in harmony. And much like a musical instrument, when you are out-of-tune, you can benefit from being adjusted and rebalanced. 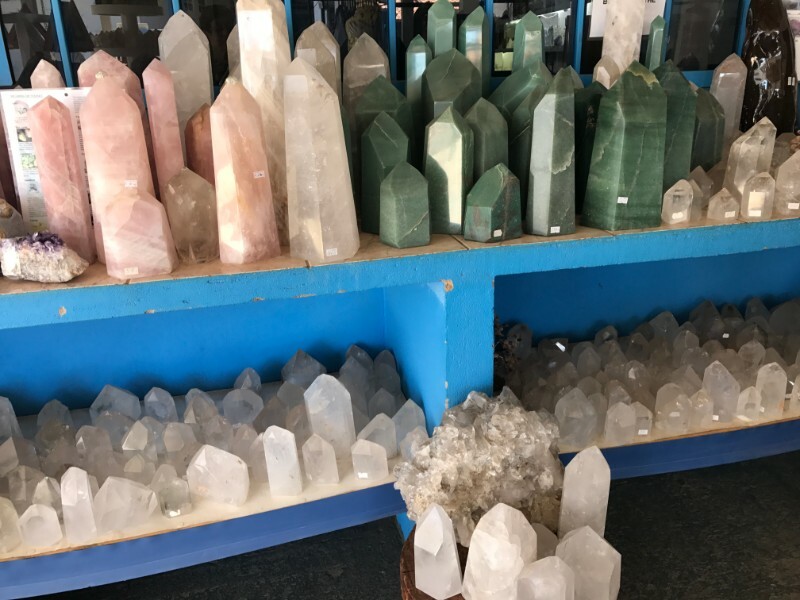 Crystals allow you to accomplish this goal because they are minerals built upon a perfect crystalline form that can be used like a tuning fork. The harmonic vibrations of the crystals cause your energy field to rebalance and re-center. This, in turn, brings you the clarity and energy you need to take your next steps in life – whether personally, professionally, or spiritually. It can also be applied to specific ailments that have shown up in the physical body, bringing the organs or systems into balance and sync with the whole being. Intuitive Crystal Mapping is an easy and natural process, which empowers you to be your best self, without drama or trauma. The objective is to bring you back to integrity. Are your words in sync with your actions? Are your actions integrated with your beliefs? Are your thoughts focused on what feels good and true for you? What feels “right”? When you can harmonize your answers to these questions with the way you show up in the world, you’ll be living in your integrity and living your truth. To pursue an authentic path and to live life as fully as possible, you need to be in physical, mental, and emotional health. Your physical as well as your non-physical selves (thoughts, beliefs, actions, and words) – must be integrated. All of these combined and whole are integral to how you experience your life. All must be in synch for you to be truly in touch with your authentic self. Integrity means living beyond the five senses. It means connecting and aligning the physical and the non-physical. To understand how to achieve this, you must first understand that the five senses allow you to experience physical reality only. To experience life with greater clarity, you must also be attuned to and aligned with the larger part of your being, which is your non-physical self. When your other, non-physical senses integrate with the Physical 5, you can be whole, at peace, and able to access more of what your physical life has to offer. Most of us, once we leave early childhood, leave that perfect integrity behind. The reasons we do this are myriad, and don’t actually matter beyond a cursory understanding and reflection on the past. The important thing is that wherever we are – however far out of integrity we have drifted, and for whatever reasons — we can easily be guided back to your authentic, integrated, balanced and good-feeling selves!